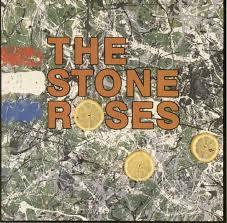 The Observer puts The Stone Roses eponymous debut ahead of The Beatles' Revolver in the 100 Greatest British Albums of all time. Really? Maybe. Both albums are definitely of their time. It's interesting seeing the Top 10 lists of some of the contributors, most of which are desparately contrived, or put together by 'ver management' so as not to embarrass the 'star'. Sorry but I only believe number 3... and even then I think Diamond Life is more likely. Anyway, never one to pass up the opportunity of a list I tried to construct my own Top 10 and realised in so doing how much US stuff would actually fall in my overall Top 10. Therefore, I have my British Top 10 and my US Top 10.